Recently bought a plastic pumpkin container for Warren. We’ll be participating in a few Trick or Treat events. Excited for Warren! 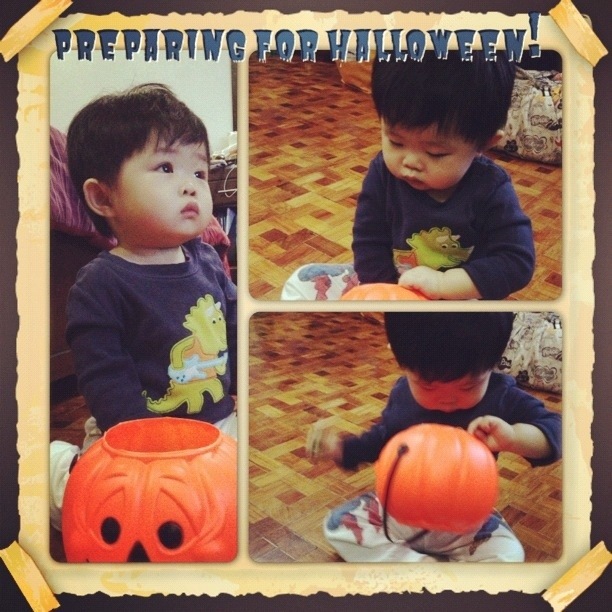 Here’s a snapshot of him playing with his pumpkin container. He’s enjoying taking out the candies rather than putting it in. Hmmm … That might pose a problem when we do Trick or Treating next week.